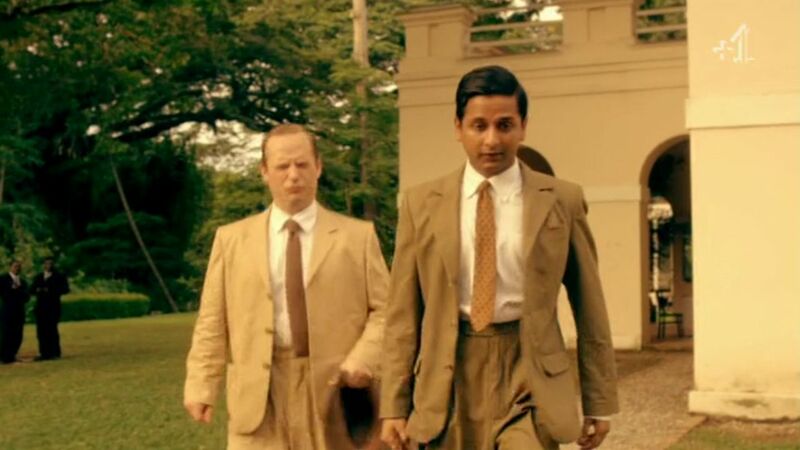 I’m excited enough about Indian Summers (now airing in the US on PBS) that I’ve decided to write a costume recap for each episode, so we can dish about what we liked and didn’t like. Keep your eyes peeled each Friday for a new post, and check out our recap of episode one! 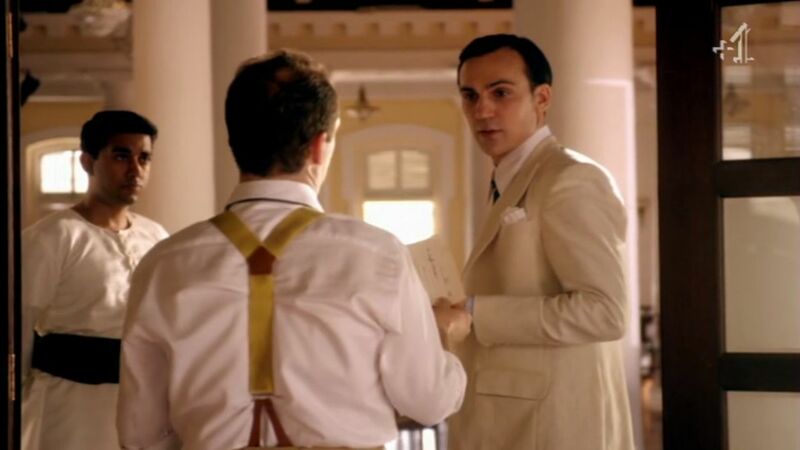 In this, the second episode, we’re given a lot more clues to the many secrets lurking in 1930s Simla, India. And more clothes! We start off with Madeleine in a beautiful silvery silk robe. This color seems to be Her Thing, and she sticks with throughout the episode. It’s a very “modern” (in the deco sense), urban color palette to me, and very different from all the other female characters. 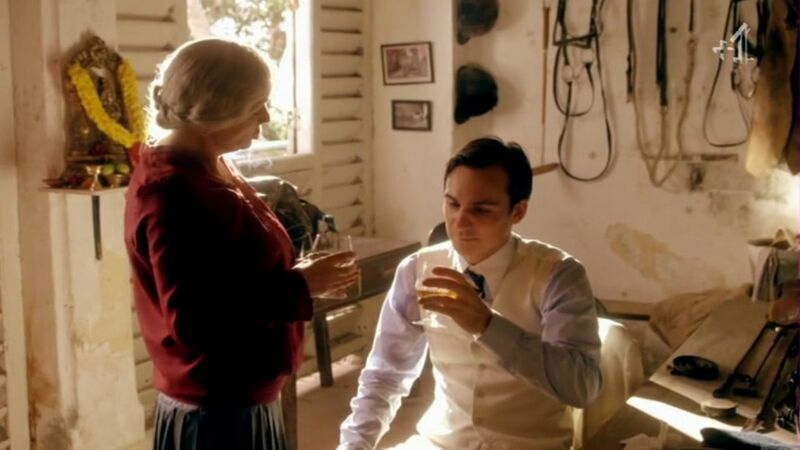 Alice spends most of the episode in this ensemble: pale white/grey/yellow print blouse, and cream linen skirt. Compared to Madeleine, she’s very naturalistic. I love the godet insets on her skirt. My one annoyance was that she wore her hair down for most of the day, even when going out. 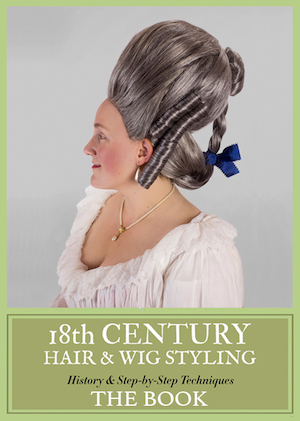 Clearly she’s supposed to look more informal, but I question the appropriateness of the hair. I’m very much not an expert in Indian clothing history, but I thought it was interesting that both Sooni and Roshana have choli tops with puffed sleeves. I’m used to seeing modern-day cholis with fitted sleeves, but the puff is an interesting nod towards 1930s Western fashion styles. Note Sooni’s puffed choli sleeve (right, in orange). Roshana’s sleeves also have that puff. I particularly liked the detail on Armitage’s pants. Notice how they’ve been let out at the center back, by adding a panel of different colored material. Clearly not a guy who spends much on clothes! Armitage is contrasted with clearly well-off, and very English assimilated, neighbor Ramu Sood. Armitage clearly thinks he’s high above Sood just by virtue of being English, despite owing him money and Sood being dapper as all get-out. 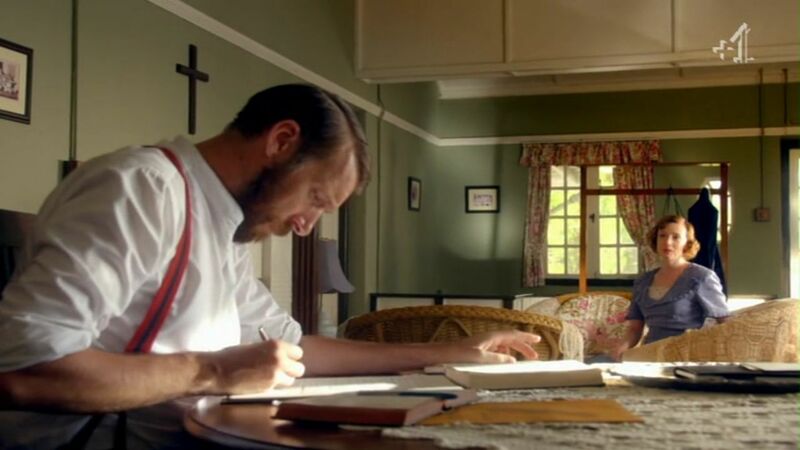 During all of this, we find out that Leena works at a missionary school along with Dougie. Adam, the rescued boy, has run away. Leena spends most of the episode searching for him while wearing the same sari as in episode one. I couldn’t get a screenshot of it, but when she finally finds Adam and hugs him, you can see a split in the shoulder seam of her choli top. Clearly, Leena does not have money for clothes! What did you think of episode two’s costumes? 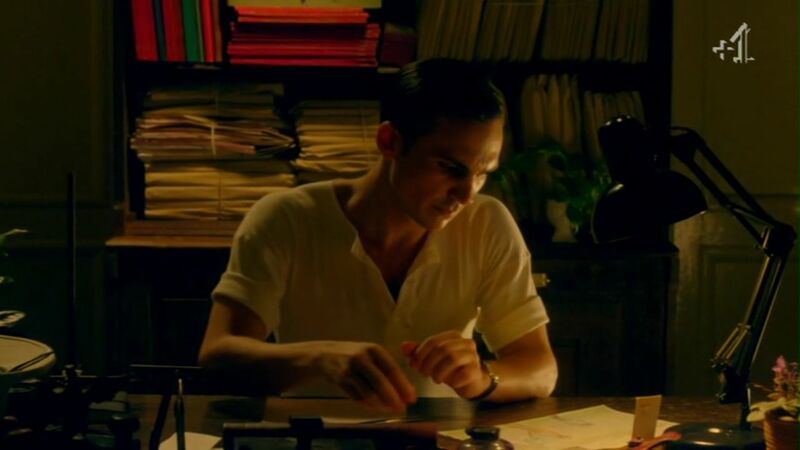 I’m enjoying INDIAN SUMMERS immensely. My favourite characters are Madeleine and Aafrin. I love Madeleine’s clothes sense. But dying to find out what Cynthia has revealed to Ralph. Madeleine’s style rivals that of another American, one with less money to spend. I’m speaking of Wallis Warfield Simpson, Duchess of Windsor. Alice is what a well-bred ‘virgin’ should wear. Boring, dull and pedestrian. Sarah tries too hard.